First let me start by saying that I am not a Clever Container Consultant and I am not being paid by the company to provide this Clever Container Review. I do so to help anyone that may be looking at The Clever Container as a possible business opportunity. Hopefully after reading this review you will be able to make an educated decision about The Clever Container and know whether they are a company that you want to partner with and become an Independent Clever Container Consultant. Is The Clever Container A Scam? – a confidence game or other fraudulent scheme, especially for making a quick profit; swindle. The Clever Container is NOT A SCAM according to either of the above. They are a legitimate company and a member of the Direct Selling Association and have been since 2006, and became a full member in 2008. They offer products to the consumer at a price set by the company. If the consumer does not want to pay the price set by the company they are free to shop at another vendor. The Clever Container got its start as “Contain Yourself” which was the brainchild of Founder Karen Eschebach. Karen got the idea while attending a party of another Direct Sales company in July 2006 and realizing that there was nothing available for organizing. Like everyone that starts a new business, Karen had her doubts especially after attending a Direct Selling Association event and comparing herself to the successful entrepreneurs there. However, Karen was determined and pushed forward. If was after this even that Karen’s business partner decided that it was not the time for her and the two went their separate ways. It was then that Karen approached another friend and stay-at-home mom, Jennifer Weaver, and the partnership was born. Clever container is committed to providing top quality and unique products for organizing your kitchen, car, closets, drawers, children, storage, office, and many more area of your life that needs organizing. They have a 25 page catalog devoted to providing products for organizing the areas named above as well as an “off the floor line,” an “office and electronics line,” an “off the door line,” and a “travel line” of products. Selling Products – by selling products at the retail price you can earn a base 20 percent commission. When your Career Personal Sales reaches $1000, you get a raise to a 25 percent base commission with up to an additional 8 percent a month depending upon your monthly sales volume. Becoming a Leader – The Leadership positions in The Clever Container start at the Director Level, but you can be paid generational (four levels deep, must be an Executive Director to be paid on all four levels) bonuses starting at the Associate Director, Managing Director, Senior Director, and Executive Directors positions. If you’re like most stay-at-moms that are looking to earn money in your spare time, hopefully this Clever Container Review will help you make an educated decision, and Clever Container becomes the perfect at home party business for you. They have sound leadership, products that are in demand, and a great compensation plan. However, those items alone will not determine your success as a Clever Container Consultant. Because The Clever Container is a home parties business you’re going to have to chase your family and friends to invite them to your party, but what happens to your business when there are no family and friends to invite to your parties? 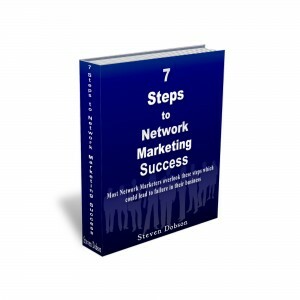 No serious business can last very long that is built on this method of generating business. To ensure your success you’re going to have to learn how to generate leads for you national business (you can sell in all 50 states). You’re going to have to learn the skills that all successful business owners know in order to become the leader in The Clever Container that you desire to be. After all, people don’t join companies, they join leaders, and to set yourself apart from all the other Clever Container Consultants and make it to the rank of Executive Director, you’re going to have to attract other leaders to your business. You can become a leader by learning the skills and strategies that will develop you into a leader. If you’re serious about building a Clever Container business and you’re ready to start learning the skills that all successful business leaders need to know and you want to follow a simple marketing system that has been used by leaders in the Direct Sales Industry for the past two plus years, click here to get organized and watch a video that will introduce you to a system that will teach you the necessary business building skills you need to take your Clever Container business to the next level. Is Your Affiliate Program Paying You Peanuts for Commissions?